India is honored to be hosting one of the world’s most prestigious conferences in the field of Law i.e. The Seventh International Conference on Constructing Law of Construction & Dispute Resolution. 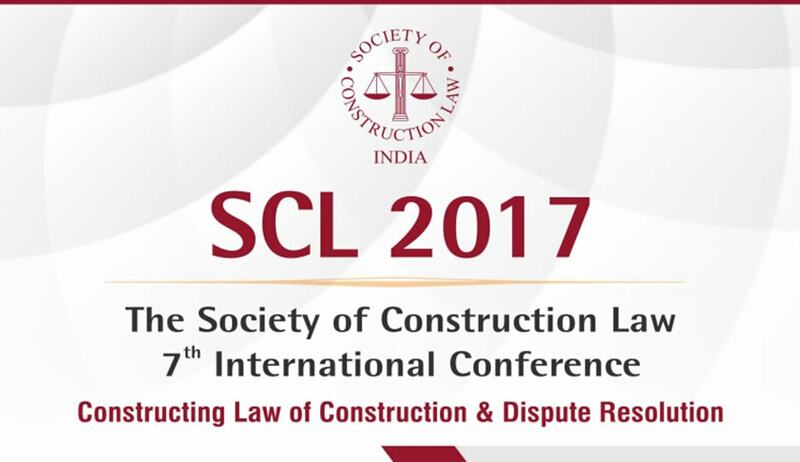 The Society of Construction Law, India, would like to extend this cordial invitation to participants and their organization to be a part of this extraordinary gathering. The conference is being supported by a number of world renowned organizations like International Chambers of Commerce (ICC), Chartered Institute of Arbitrators (CIArb), Singapore International Arbitration Centre (SIAC), Kuala Lumpur Regional Centre for Arbitration (KLRCA), Mumbai Centre for International Arbitration (MCIA), The Associated Chambers of Commerce of India (ASSOCHAM), Gujarat International Finance Tec-city (GIFT), ASSOCHAM International Council for Alternate Dispute Resolution (AICADR), Indian Institute of Technical Arbitrators (IITArb) etc. Sponsors for the conference include Society of Indian Law Firms (SILF), Shardul Amarchand Mangaldas & Co., Sethi and Associates etc.